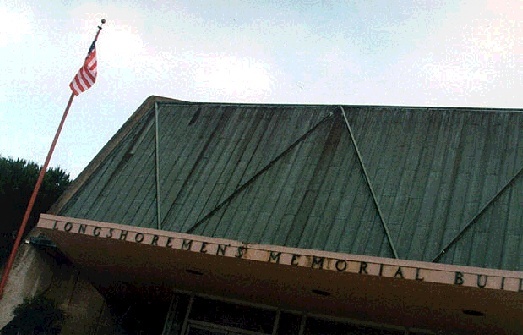 Longshoremen's Hall. January 21-23, 1966. Ken Kesey and his Pranksters kicked off the hippie movement by ladling out electric kool-aid to the gathered throngs at the Trips Festival. A band called the Warlocks (later known as the Grateful Dead) provided musical accompaniment. Shortly thereafter America's hair got longer, clothing more colorful, pupils more dilated. Road signs reading "No Left Turn Unstoned" began to pop up, disrupting traffic patterns and forcing the federal government to outlaw LSD later that same year (October 10, 1966). Ironically, it had been that very same federal government, in the guise of the CIA, that had brought LSD to America and introduced it to people like Timothy Leary, Gregory Bateson, and Ken Kesey. The CIA had wanted to use LSD as a mind-control agent; as it turned out, the stuff had the exact opposite effect--it rendered minds utterly uncontrollable. 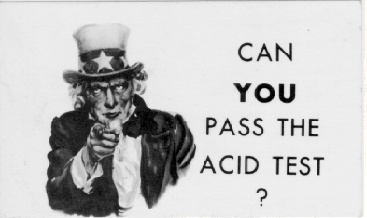 Part of an invitation to an early "Acid Test."